With the holidays upon us and with the tragedy in Connecticut still fresh in our minds and our hearts, many people are holding tight to the core values of family and community. Along with thinking about the joy and beauty of youth, many are also visiting with older family members and friends, embracing traditions and the knowledge that comes with age. Our San Francisco elder law team believes in protecting the elderly and in supporting efforts to combat the alarming epidemic elder abuse. 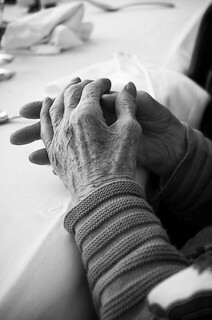 As it progresses, Elder-Abuse.net, will house a wealth of information, covering elder abuse from a wide range of angles. The site discusses the different forms of abuse, including financial fraud and physical/emotional mistreatment as well as how neglect can constitute abuse. Victims and concerned loved ones can also visit the site to locate state and local resources and learn how to report abuse. The site also gives some general insight into elder law and advice on hiring an elder abuse attorney. As Daniels notes, it is important that victims identify resources for help before it is too late and that they feel comfortable asking for assistance. Further, our society as a whole must declare that any form of elder abuse is unacceptable and commit to bringing this tragic epidemic to an end. Why choose The Brod Firm to represent you or a someone you love? Greg Brod is an experienced California elder abuse lawyer. He knows the legal system and the specific issues involved in senior abuse claims. His education and experience allow him to present your case with authority and to prepare for every facet of a civil law elder care dispute. The entire San Francisco elder law team at the Brod Firm is committed to treating every client with respect. We recognize that these are serious issues, filled with a range of emotions. We will work with you to end the abuse and recover all due compensation, keeping you informed and helping you seek justice for these horrible crimes.